In the haste of our everyday life, we often miss to appreciate the little things around us. We are distracted by some stuff going on our head, the traffic in the streets, the music from our earphones or the screen on our smartphones. Do you stop, look and listen to the sound of the birds and the trees? Do you give a smile to a stranger you meet? Recently, I got to walk the streets and photograph random people during the Scott Kelby Worldwide Photowalk last October 3, 2015. Actually I have joined SKWWPW for the past 2 years in Downtown Cebu City so for a change I decided to join a walk in Liloan, Cebu. And there was all YELLOW. The traffic enforcer on a busy street. The creator of Rosquillos, Mana Titay. The liempo and lechon manok. The search for inner peace. The giggle of a young candle vendor. The bridge over troubled water. The balls of this guy doing a backflip. The skydivers. Seriously these girls got balls, even if they don’t. I have been wanting to join a photowalk, unfortunately time won’t permit (as of now). I remember my friends (photographers) joined Scott Kelby before, sa colon ila route. It is really nice to capture random people. Great photos by the way. I should bring you the next time I will do some cliff diving. Awesome photos bay! Love this. I’ve wanted to create something like this when I was in Guam but I was too shy to take photos of strangers. imba jud ka bai! keep it up! Wow! Your photos are so awesome. 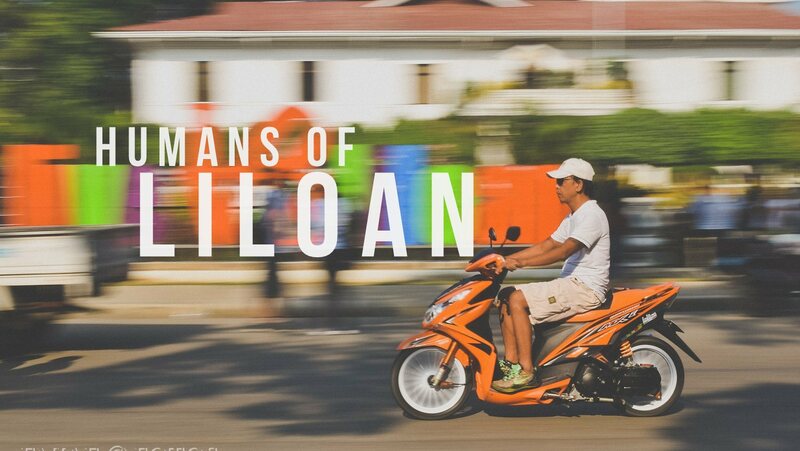 To some Cebuanos life in Liloan might be boring but your pictures make them look very interesting. Si Kuya sports analyst ba kay dili jud baya aware na gi-picturan siya. Engrossed kaayo siya sa iyang gibasa. Hehehe! Your photography is on a whole other level Emjae! #SuyaModeOn. Haha. I love the backflip photo so much. Nindota unta muapil ani, though I’m not a photographer pero nice jud gihapon ang experience. Kudos to your photos Emjae!